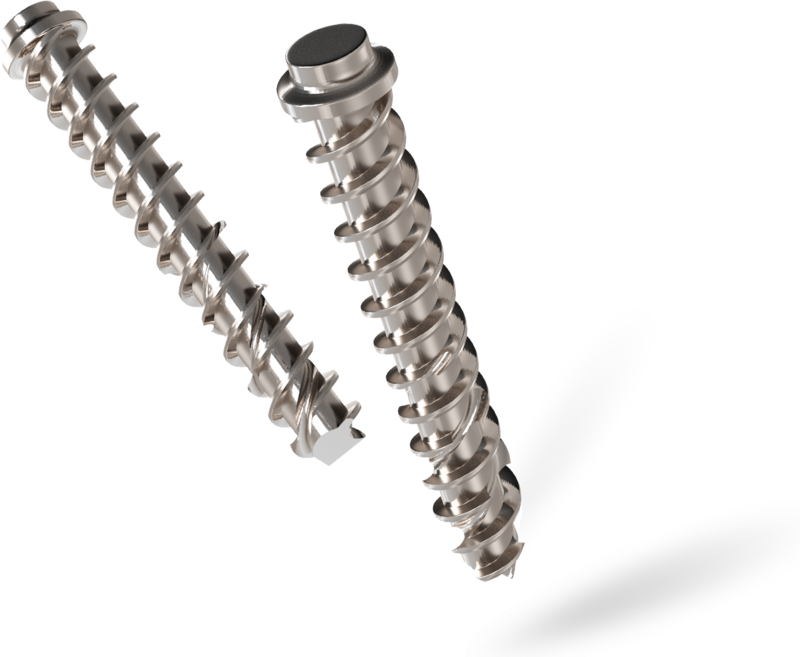 Machined titanium alloy implant designed to provide supplemental fixation. Snap-off release feature allows screw to detach upon full deployment. Individually packaged sterile with detachable disposable handle. 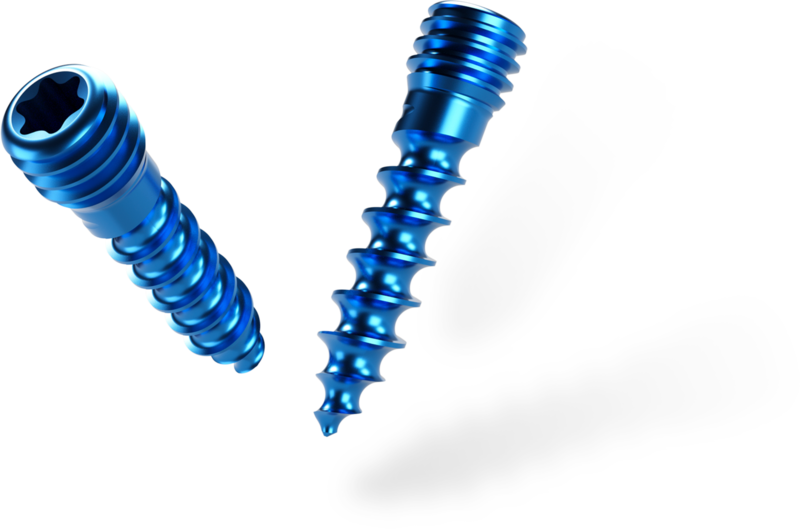 Titanium alloy implant. 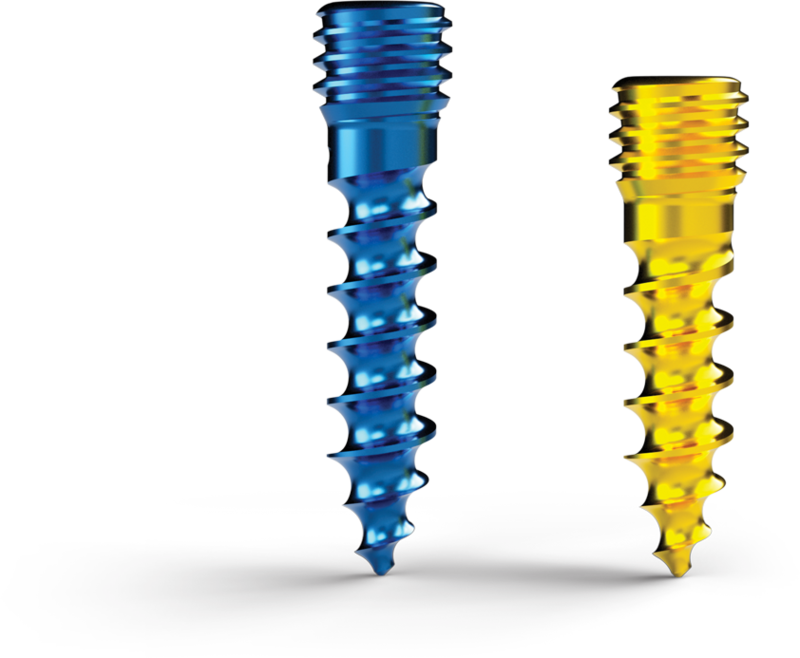 Self-tapping and self-drilling screw with standard No. 8 hexalobular driver interface. Offered in two lengths to address a variety of clinical situations. 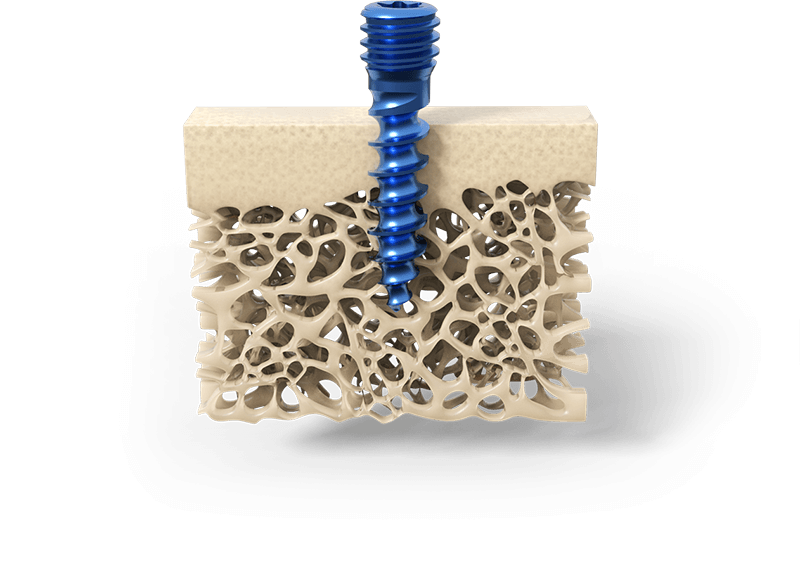 The ALLY® Bone Screw is intended for use in bone reconstruction, osteotomy, arthrodesis, joint fusion, fracture repair, and fracture fixation appropriate for the size of the device. Please consult product IFU for safety information, warnings, indications, and contraindications.